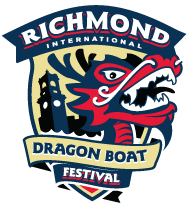 Rally your coworkers, friends and family, and join us for Richmond’s biggest spectacle on water – dragon boating! Led by the rhythmic beat of a drum, teams of 20 synchronized paddlers, one drummer and one steersperson race 500 meters up the river in 40-foot canoes rigged with decorative Chinese dragon heads and tails. The sport brings social groups and businesses alike down to the water to bond and compete, building a stronger sense of “team” with every stroke. From vets to newbies, anyone can have a good time – we’ve made sure there’s plenty of time to kick back (or throw down!) between races.